Caribbean Regional Shluchim Convention Took Place in Puerto Rico this week. 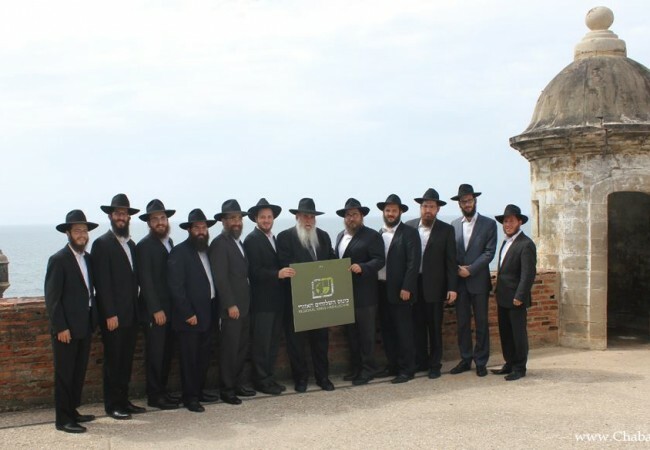 L to R: Rabbi Levi Stein, Puerto Rico, Rabbi Moshe Nemni of Martinique, Rabbi Moshe Chanowitz of St. Maarten, Rabbi Shimon Pelman of Dominican Republic, Rabbi Mendel Zarchi of Puerto Rico, Rabbi Mendel Druk of Cancun, Mexico, Rabbi Moshe Kotlarsky from Chabad World HQ, Brooklyn, NY, Rabbi Asher Federman of the Virgin Islands, Rabbi Mendel Goldberg of Playa Del Carmon, Mexico, Rabbi Berel Pewzner of the Cayman Islands, Rabbi Boruch Rozmarin of Grenada, Rabbi Ahron Blasberg of Aruba. Previous Post: VIDEO: Taking Shlichus to a new level!